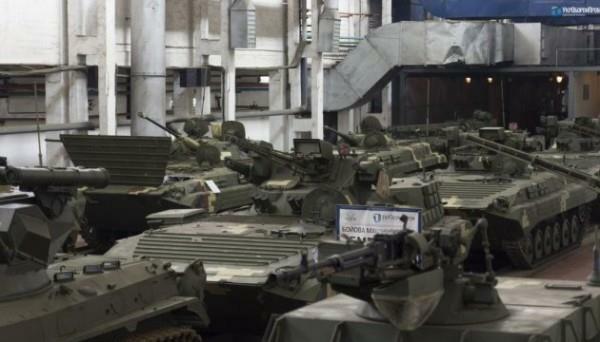 (MENAFN - UkrinForm) Zhytomyr Armored Plant has completed the full cycle of factory tests of BMP-1UMD infantry fighting vehicles. The combat vehicle, which is a deep modernization of the BMP-1, is equipped with a modern combat module, a digital fire control system, German engine Deutz and other advanced equipment, the press service of the Ukroboronprom State Concern reports. "Thanks to the work of the company's specialists, the BMP-1UMD has successfully undergone all running, firing and other operational tests, confirming its high performance, which greatly expanded the combat capabilities of the BMP," the statement reads. It notes that the BMP-1UMD received powerful fire strength thanks to the Stilet combat module equipped with a 30mm automatic gun, a 30mm automatic grenade launcher, a 7.62mm machine gun, as well as the Barrier high precision anti-tank system.